One format of choice education that develops fairly well in Indonesia is homeschooling or the well-known Home School. The beginning of homeschooling was inseparable from criticism of conventional schools. Critics of the educational system that prevailed in the country gave birth to live location schools initiated by families with educational needs that were matched with their students. The development of the discovery of various learning techniques increasingly confirms the need for learning according to children’s needs. Likewise when Howard Gardner said eight unique types of intelligence to be implemented in the process of learning techniques approach. This affects the different learning techniques of children that cannot be generalized to one another. A child with a type of linguistic intelligence cannot be forced continuously to learn similarly as a child with a kind of music intelligence, for example, or a child who is mighty in naturalist intelligence is forced to learn with a child-type technique that has logical-mathematical intelligence. Everything that does not match the level of its needs will produce a problem that is not good in the growth equilibrium of its child. For example, children become stressed, easily angry, strike learning, and others. Why do I say that homeschooling is about courage? Courage is not a few things that can make or produce something new. Now the courage of parents in making decisions to educate their children with homeschooling certainly needs to be appreciated. In the number of times when I met homeschool activists, I often say great appreciation for them. Parents who conclude homeschooling for their children’s education are strong groups whose role is most considerable in maintaining the authenticity of their children. Well, many parents have written one of the proposals to take homeschooling because schools only make their children not grow well because of the amount of coercion that enters their children’s world without their control. Parents who have known the potential of their children must not want the possibility to die because of conventional schools. Ada also said, “do not be creative about students from their teacher ?!”. It is sad because this still occurs in many traditional schools in Indonesia. 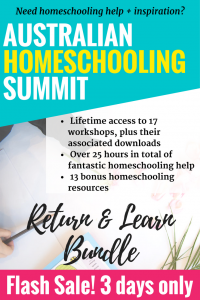 Homeschooling then becomes the choice to keep guarding that potential, it still exists and even grows better with the right learning and useful ways to use their children. The parents then plan education that is matched with the needs of their students. Make interesting activities, come to places that allow children to learn directly from the empirical they receive. And there is still little more variation in the work that parents of homeschool activists have designed. The development of social media and technology has increasingly created natural homeschooling activists to access the many things needed such as material, curriculum, activities, and others. The documents required for learning at live locations are spread not a little on the internet. With modifications to fit the needs, parents then present it to their students. The variety of activities is even easier to obtain, settling in search engines with the right lessons and keywords so that in the fast times the reference will appear. Not only that, networks among fellow parents of other homeschool activists are increasingly exposed. Groups on social media like Facebook, make it easier for homeschooling activists to exchange information and establish communication with each other. Not infrequently this communication forum then makes a meeting together to learn from each other in a period determined by the theme that was designed before. There are two homeschool activists that I noted and were quite successful in developing homeschooling concepts in the city of Bandung. If at the national level, homeschooling by Kak Seto is already the most famous. If you are chatting with new parents who want to make homeschooling decisions with the help of the institution, what they often ask is Kak Seto’s homeschooling. Now outside of Kak Seto’s homeschooling institution, I witnessed an institution that facilitated homeschool activists, for example, Homeschooling Mouse Deer Scholars and Homeschooling Sekar Park. Both of these institutions have become the choice of not a few parents to make partners for their students. With an alternative education method approach, the two institutions offer new forms of education in Indonesia. Some of their students are involved in unique activities each week. For example, out to places that can be used as elements of learning, camp work, and others. This homeschooling institution organizes including submitting facilitators or facilitators of their learning work. This facilitator acts as a teacher if paired with conventional schools, the difference between these facilitators is often closer, knowing more about the character of the child compared to regular teachers who train to deliver lessons. Well, the location of the school lives with the growth of this technology and the many institutions that help homeschool activists increasingly confirm its existence as an option for parents. Homeschooling is not only an option for their children, but homeschooling can be a new strength in the map of choice education in Indonesia. Support from government institutions is needed in many ways. Likewise, the Indonesian Ministry of Education and Culture has given the green color to the format of this choice of education as one of the educational forms also stated by the state. This legality is needed especially for example for the needs of children when moving from the elementary level to the middle tier, then from the top level to the student level. Broad community support for the community and all homeschool activists are needed. This support can be in any format. The courage of parents of homeschooling activists may be an inspiration for other parents in Indonesia solely to foster good human resources in the future.